This is our traditional mentoring program that connects children ages 6-15 with committed volunteers that are 19 years of age or older. “Bigs” and “Littles” spend quality 1-to-1 time out in the community 4-6 hours a month. Together they engage in fun, low-cost, friendship-building activities. The goal of the mentoring relationship is to provide positive guidance and support to enhance the child’s ability to become a confident, competent, and caring adult. A minimum of a one year commitment is required for the program with the hope that the friendship will last a lifetime! Our proactive approach to reaching more children in a group mentoring setting is developed through partnerships with school districts. These programs offer a select number of mentors the opportunity to be a role model and friend to a student. The mentoring sessions take place at the school where BBBS staff provides and closely supervises activities that the matches do together. 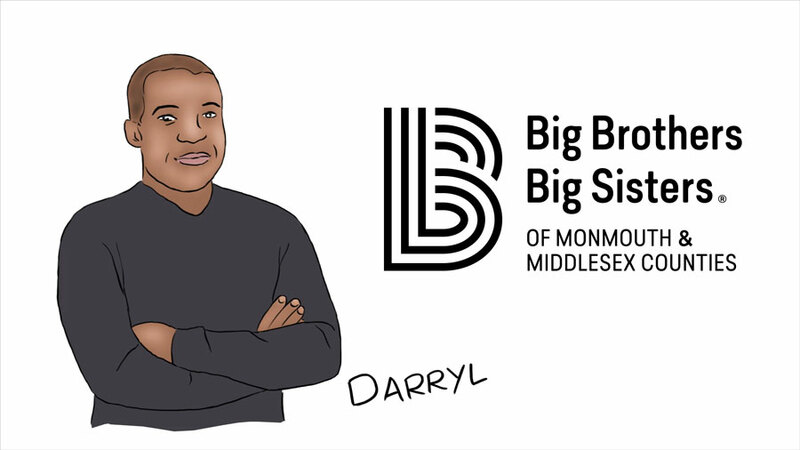 The commitment for School Based Bigs and Littles is one academic year, with weekly or bi-weekly sessions that are planned and facilitated by BBBS staff and school liaisons. Our Workplace Mentoring Program exposes students to local businesses such as hospitals and corporations. Employees volunteer to mentor the students and provide support and friendship while exploring topics such as decision-making, conflict resolution, self-esteem, long-term life planning, job shadowing, workplace diversity, and college and career preparedness. Through our College Mentoring Program, Monmouth University students volunteer to mentor Asbury Park High School students. The younger students meet with their mentors on campus and in addition to mentoring, the program exposes the students to the college experience as they explore majors, how to enroll, and the importance of pursuing their dreams. The Back on Track Program provides 1-to-1 mentoring for children ages 11-17 years old who have committed a first-time minor offense. Mentors help them replace negative behavior with positive actions. Once the program is completed successfully, the Littles and Bigs are invited to continue the friendship and transfer into our Community Based Program. Our Kids Club Program allows BBBS staff to see our Bigs, Littles, and children waiting to be matched in person throughout the year. These fun events are hosted by individuals, companies, and/or venues in the community and are planned specifically for BBBS. Events include a variety of recreational, educational, cultural, and community-service activities. You can directly support local youth facing adversity by contributing to create a match between a caring adult and a child in need of a friend and role model. With your help, we can make a positive impact on a child's life and future through 1-to-1 mentoring.